Oh yes, we continue that mosey into fall weather and fall-like foods today. Who else is craving apple cider and feeling the need to don slippers and skull blankets? 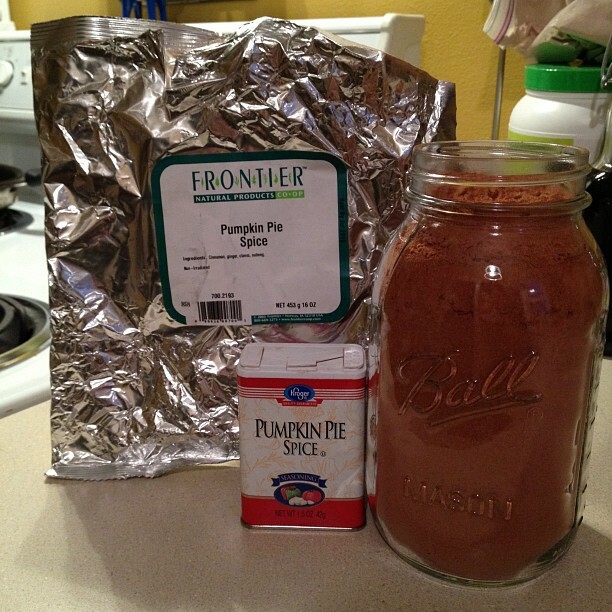 I jumped into those fall feelings by making a green smoothie that contained the end of summer harvests (nectarines), leftover pumpkin, and a hefty dose of pumpkin pie spice (pps is just a varied blend of cinnamon, nutmeg, ginger, and cloves). I ran out of this delicious spice recently so I ordered a cheap but quality bulk version on amazon. This should take me into the apocalypse. On a side note I wanted to mention that the lighter leaves of a spring salad mix hold up well in the freezer and are perfect for green smoothies. I get traffic daily from this older post on freezing, fresh store bought spinach for smoothies and I wanted to check in to say that this technique also works for the spring salad mix. Here’s a picture of a tub I threw in the freezer before we left for Canada on the 18th. I just took them out of the freezer for this smoothie. It’s almost hard to tell from the photo that they are in fact frozen. 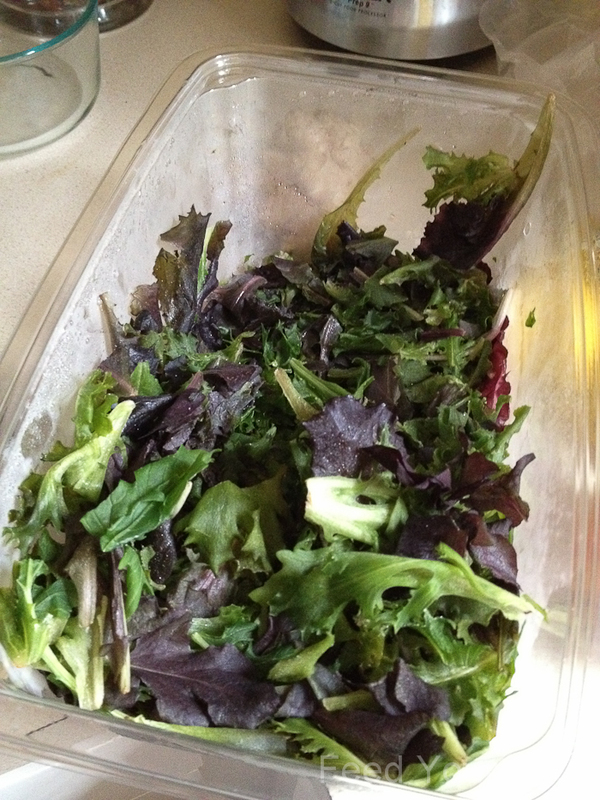 These greens were delicious in the smoothie! Another win for fast action food preservation. 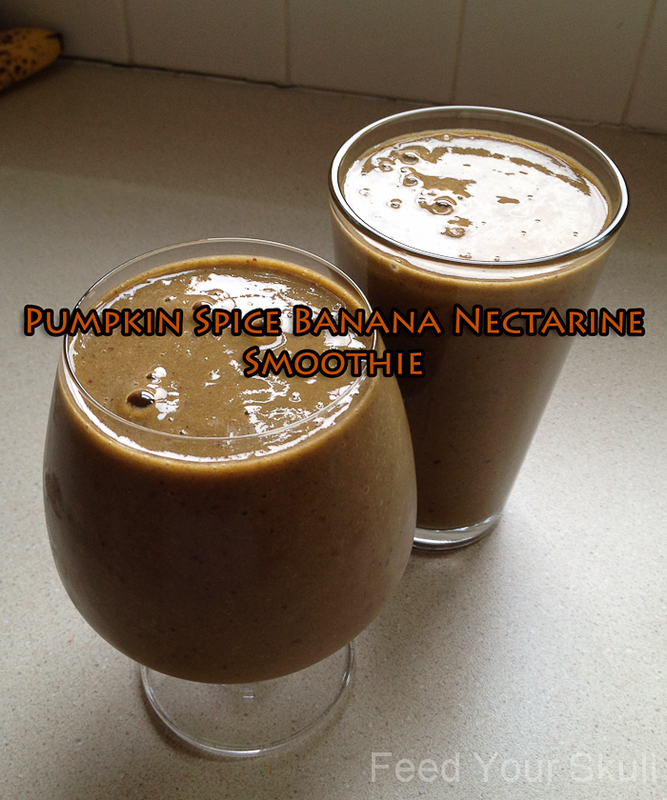 What spices have you been enjoying in your smoothies?